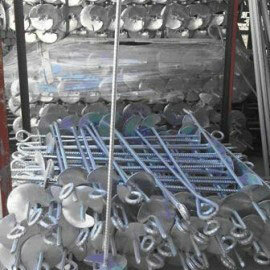 Pretty easy to be used, our Galvanized Anchors are used as an alternative to the concrete basements. 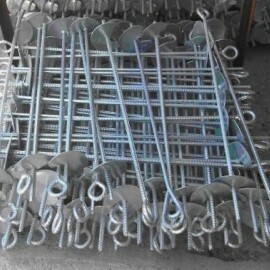 Our anchors are hot galvanized and they have a coil basements so that the user can screw them into the soil.In the Anti-Hail Orchard Planting are generally supplied Specific Coil Anchors bigger than those used in the Vineyards. When rows are long from each End Post and there's a big tension between each other, this type of plate basement is pretty suitable to solve this matter. 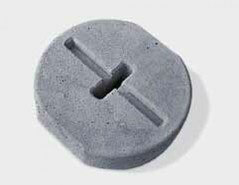 the first one is oustide the soil which allows to insert tensioning system while the other remains inside the soil to block the concrete anchoring plate. 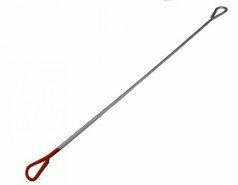 It works together with a Galvanized Locking diameter 14 mm, length 23 cm.